. 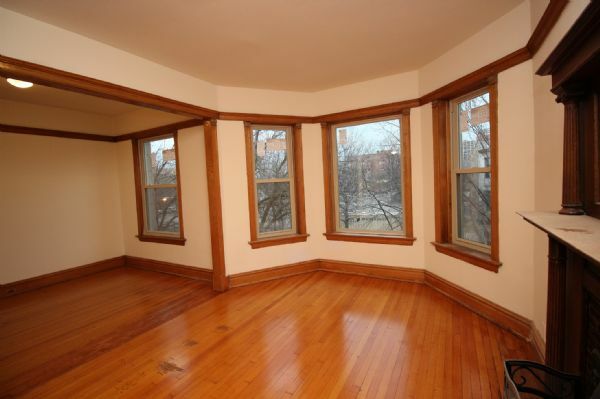 HUGE 2 bedroom apartment with a den/office in Lakeview. Spacious living room and working gas fireplace. New rehab new kitchen with espresso cabinets and stainless steel pulls, stainless appliances, stone counter tops, dishwasher, over the stove microwave. Brand new modern bathroom, Gas-forced heat, and central air conditioning. FREE private on-site storage locker and use of private garage top deck. On-site garage parking available for an additional fee. Smaller dog is okay. Non-smoking building.
. North lake view one street south of Irving Park between the lake and the Sheridan Red line stop.